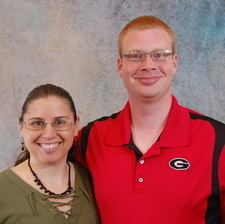 Johns Creek Christian Church would like to welcome Matt and Christy Marshall to the position of youth ministers. Matt and Christy are stationed at Fort Benning, where Christy is an Active Duty Army Chaplain, taking care of the spiritual needs of approximately 2,000 basic trainees. Matt is an Inactive Reservist in the Army Reserve, soon to transition into Active Duty as a Chaplain. They each have over a decade of experience in various ministries. When asked what they are most excited about in working with the youth of Johns Creek, they shared this: Matt said, "I love working with youth as investment in the future leaders of the church. I'm also passionate about integrating the youth into the ministry of the church as a whole and watching the youth begin to cultivate their gifts and talents for the first time." Christy said, "I'm most excited for the opportunities to invest in the youth including discipleship, being a mentor and reaching out to those in need." Matt and Christy have already started their work with the youth of JCCC, by teaching Sunday School and by holding discussions at our youth lock-ins. Also, Matt is planning on starting to do a youth choir. They were even brave enough to take the youth group to Six-Flags on Labor Day weekend! We are very excited to call them our new youth ministers. 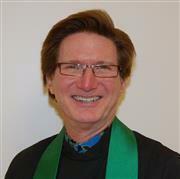 Reverend David Kenley has been Called as the Senior Minister for Johns Creek Christian Church! June 4th, 2017, JCCC's Nominating Committee and Leadership Team brought before the congregation Reverend David Kenley as their choice for our Senior Minister. By unanimous vote, the congregation has affirmed David as our Senior Minister. David's term as Interim Senior Minister ends June 30th, and effective July 1, he is our Senior Minister. Congratulations to David and his partner in life and in ministry, his wife Kim. We look forward to learning what great things God will do through our partnership in ministry together! Johns Creek, Ga – March 18, 2015 – Johns Creek Christian Church (Disciples of Christ) announced today its status as an ‘Open and Affirming Congregation,’ where community members will be welcome regardless of race/ethnicity, national origin, age, economic or marital status, physical or mental situation, gender identity, or sexual orientation. Johns Creek Christian Church is the first congregation of the Christian Church (Disciples of Christ) in Georgia to make this commitment. The formal designation was adopted by congregational vote on Sunday, March 15, and passed with 100 percent congregational approval. For more information, visit www.gladalliance.org. Johns Creek Christian Church is a unique community of faith that is also a part of a larger communion around the world known as the Christian Church (Disciples of Christ). We envision Johns Creek Christian Church as a Christ-centered community of faith that seeks to engage the larger community. We embrace diversity and inclusiveness by reaching out in love to all we meet. Our Ministry teams such as Community Outreach, Children & Youth and Worship seek to serve our mission of "leading all people into a growing relationship with Jesus Christ," and our preschool serves families throughout Johns Creek, Alpharetta, Suwanee and Duluth. For additional information, call 770-418-1101 or visit www.johnscreekchristian.org.